Santa Ana police arrested a gang member after a one hour car chase . The chase ended with officers running after the defendant on foot in the area of Sullivan Street. Santa Ana Police said the man allegedly stole a Toyota pickup and police pursued him and a passenger around noon near First Street and Harbor Boulevard. Officers followed the men through Garden Grove, Buena Park, Stanton and Westminster before he was arrested in Santa Ana. The chase ended near an apartment complex on Fairview Street, and the man then ran about a block before surrendering on Sullivan Street. The driver, Daniel John O’Connell, 27, of Santa Ana, was arrested on suspicion of felony grand theft and felony evasion. Unlike car chase scenes out of a Hollywood car chase movie, stealing a vehicle and evading police is not glamorous. Under California Vehicle Code Section 2800.2, it is against the law to flee or attempt to evade a pursuing police officer and the pursued vehicle is driven in a willful or wanton disregard for the safety of persons or property. If convicted, the person driving the vehicle can be punished by imprisonment in state prison, or by confinement in the county jail for not less than six months nor more than one year. In addition, the court may impose a fine of not less than $1,000 or both a fine and imprisonment. Evading a police officer is not only dangerous to the surrounding community but also results in severe punishments. Our firm has over 30 years of experience in representing clients in criminal matters and has been recognized as an AV rated law firm. Wallin and Klarich offers outstanding representation to clients charged with gang related crimes. We have the legal knowledge and the resources to ensure that your rights are protected. 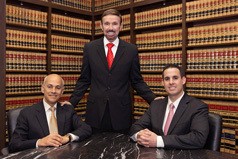 Please call our Southern California theft lawyers at (888) 280-6839 or visit our website at www.wklaw.com. We will be there when you call.